The very narrow and hotly disputed 5 to 4 decision by the U.S. Supreme Court in the landmark Citizens United v. F.E.C. case on January 21st, will certainly change the landscape of American and Wisconsin politics and elections. Apologists for the misguided majority opinion - a horrendous case of judicial activism on steroids - wrongly predict that not much will change and that corporations and unions -- who can now spend freely on outside advertisements with unlimited money from their general treasuries (instead of from regulated political action committees with contribution limits) -- will choose not to do so. While not every corporation or union will elect to run campaign ads using their general treasuries, a few are sure to do so. And many more will transfer vast amounts to "front" or aggregate groups who will then blanket the airwaves. Spending by outside special interest groups is certain to increase in our elections, drowning out the message of candidates and the concerns of the vast majority of citizens who cannot afford to pay for expensive air time to broadcast 30 and 60 second ads - most of them negative and demoralizing. In Wisconsin, this year's election for Governor is the first since 1982 with no incumbent running for re-election. So it is a wide-open race. In reports filed yesterday with the Wisconsin Government Accountability Board, Republican candidates and current Milwaukee County Executive Scott Walker, a former member of the Wisconsin Assembly, has about $2 million in the bank. His Republican primary opponent, former U.S. Representative Mark Neumann has about $1 million - most from his own pocket. Democrat Tom Barrett, the Mayor of Milwaukee and a former member of the U.S. House of Representatives. the Wisconsin State Senate and the Assembly, has a war chest of about $1.5 million. All will have to collect much more to contend with an expected onslaught of outside special interest group spending in this election. The 2006 election for Governor of Wisconsin was about a $35 million affair with nearly half of that being spent by outside groups. Look for a $50 to $60 million dollar gubernatorial election this year with outside special interest spending outpacing candidate spending. For more on that U.S.Supreme Court decision and its impact on Wisconsin politics and elections and some possible solutions to address the problems caused by the decision, go here watch this debate between campaign finance experts and advocates (including Common Cause in Wisconsin's director) that was filmed and broadcast on WisconsinEye, the "C-Span" equivalent in Wisconsin. Last Monday evening, January 25th, at Marquette University, CC/WI hosted another in a series of "reform forums" held around Wisconsin over the past three years to help educate citizens and students about campaign finance and other political reform issues. About 100 citizens and students gathered to participate in a lively and spirited discussion and debate about the wisdom of the U.S. Supreme Court decision, Citizens United v. F.E.C. as well as public financing of state elections in Wisconsin, redistricting reform and other topics. Panelists included State Representative Jeff Stone (R-Greendale), State Senator Jim Sullivan (D-Wauwatosa), Marquette political science Professor John McAdams, former Milwaukee County District Attorney and current CC/WI State Governing Board member E. Michael McCann, and CC/WI Executive Director Jay Heck. The moderator of the forum was the Chair of the Marquette political science department, Professor Barrett McCormick. There were many comments and questions from an obviously interested and informed audience. 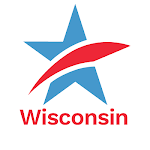 This very well attended and lively forum/debate was filmed by WisconsinEye and can viewed here. Recent U.S. Supreme Court Decision Will Mean More Election Spending in WisconsinTweet this!